A selection of my designs for t-shirts, mugs and other merchandise. I've included links to where they can be purchased online (where available). How did I even get here? … and how do I escape. 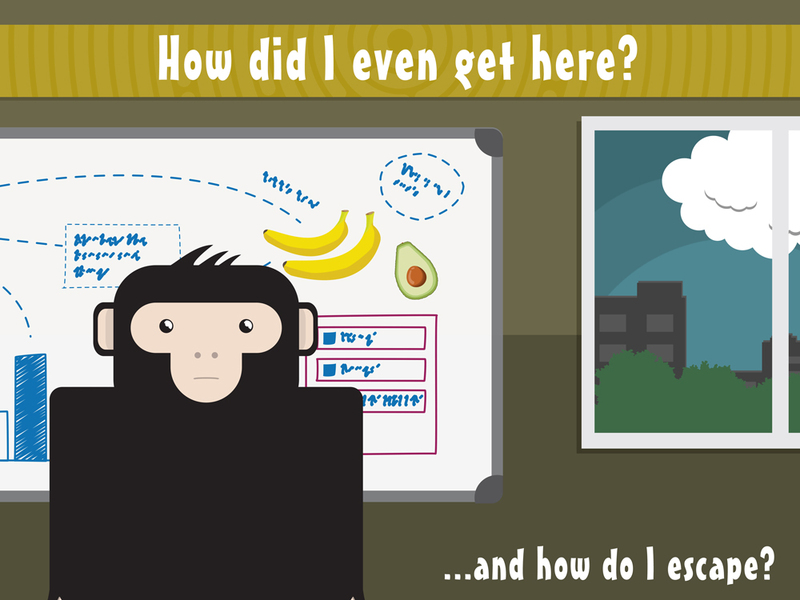 *+-It’s a monkey in an office. He’s out of his depth and wants to escape. This is very possibly a metaphor for my own existence but I’m not willing to confirm or deny that. I’m very proud of the banana on the whiteboard. 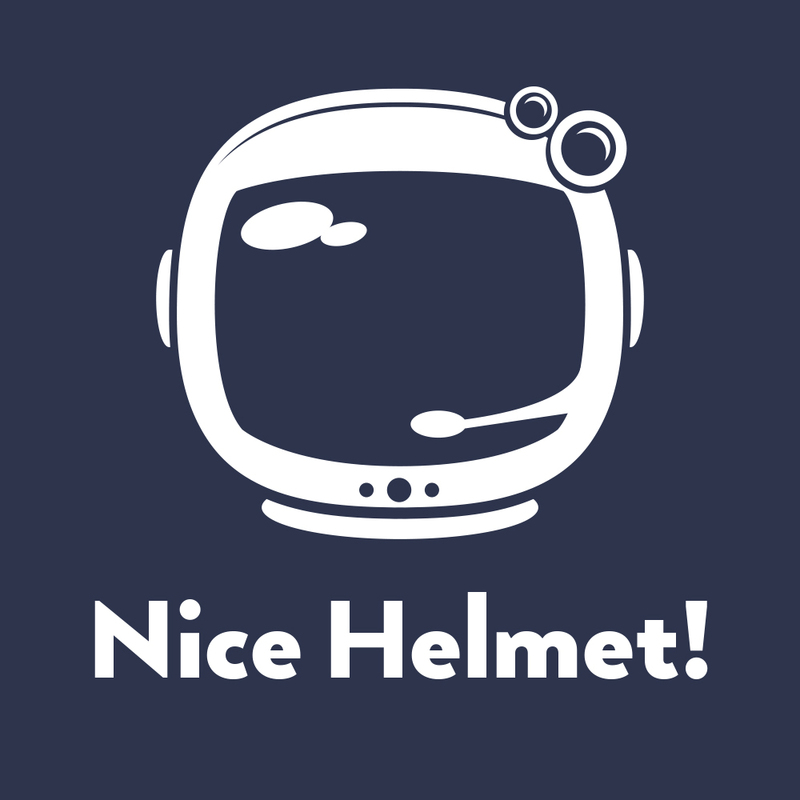 *+-It’s a space helmet. Now I personally prefer this version to the crass knob gag version, but then I’m not the one that has to wear it on his chest. I am happy to do a version with no text on as well, just ask. *+-Sometimes I’m all about the knob gags. 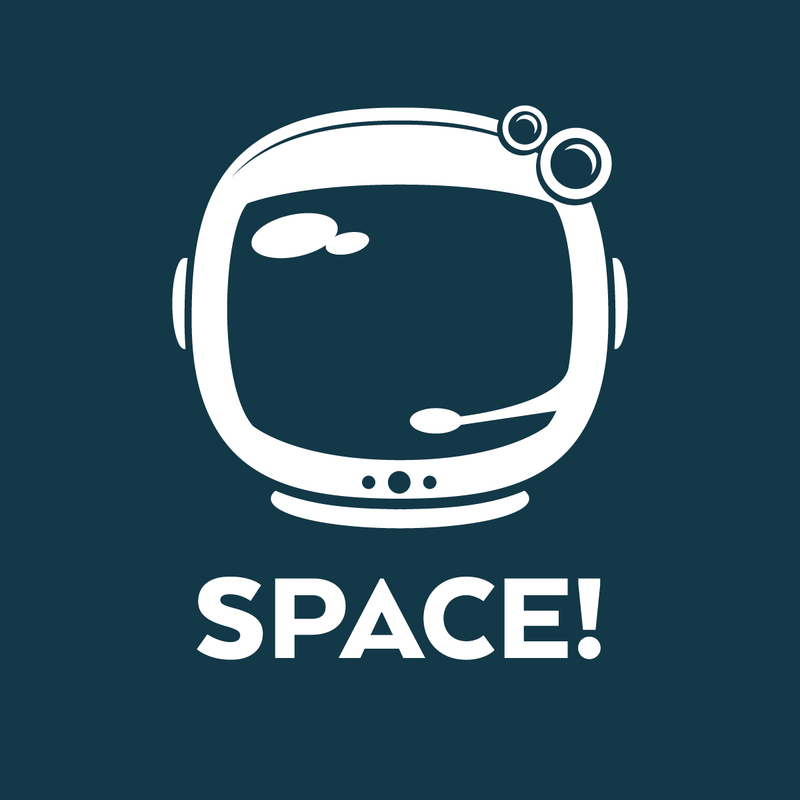 I originally designed this as a well intentioned piece of retro space design but it’s a helmet so who could resist. Let’s guess which one sells the most, the version with the slogan or the version without? The buying public are an arse! 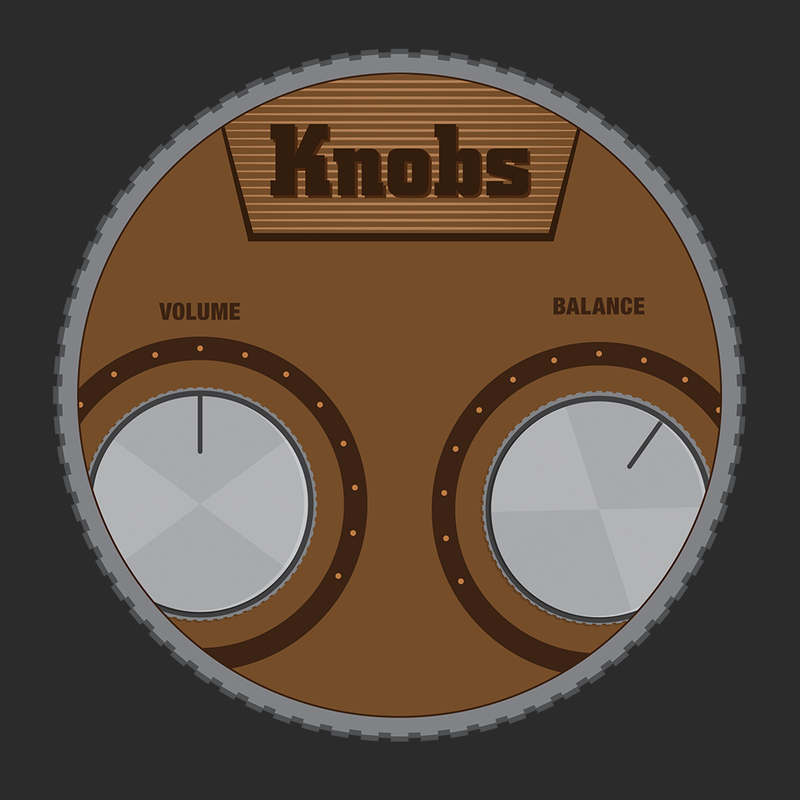 *+-Retro interface design with knobs. Yes it’s a knob gag. I’m not sorry. 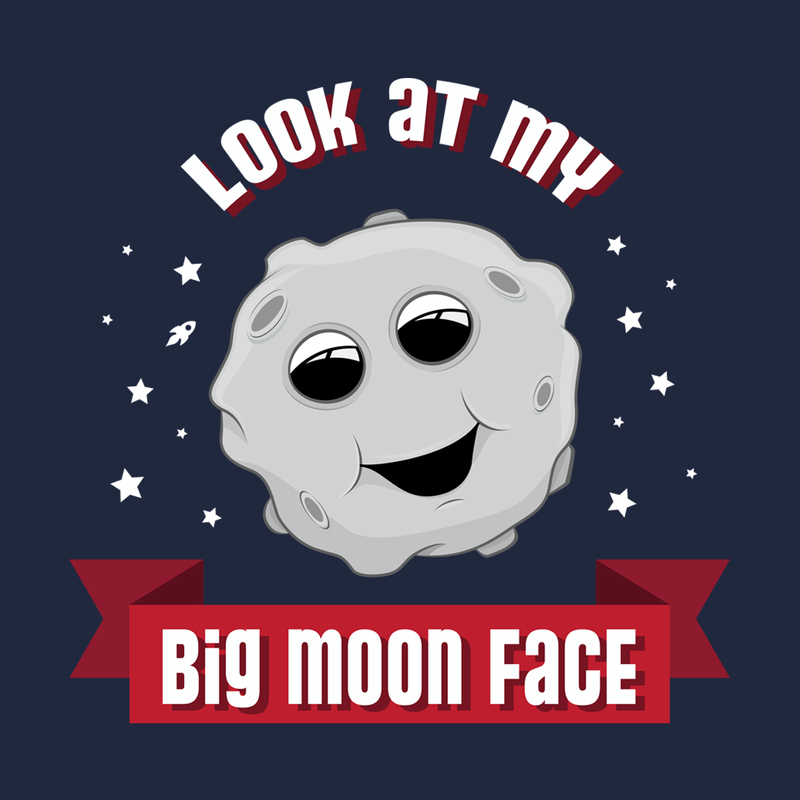 *+-Gaze upon the moon and it’s shining lovely face. Watching over us while we sleep. DEFINITELY not inspired by my beautiful wife and her tendency to attract moths towards her visage. 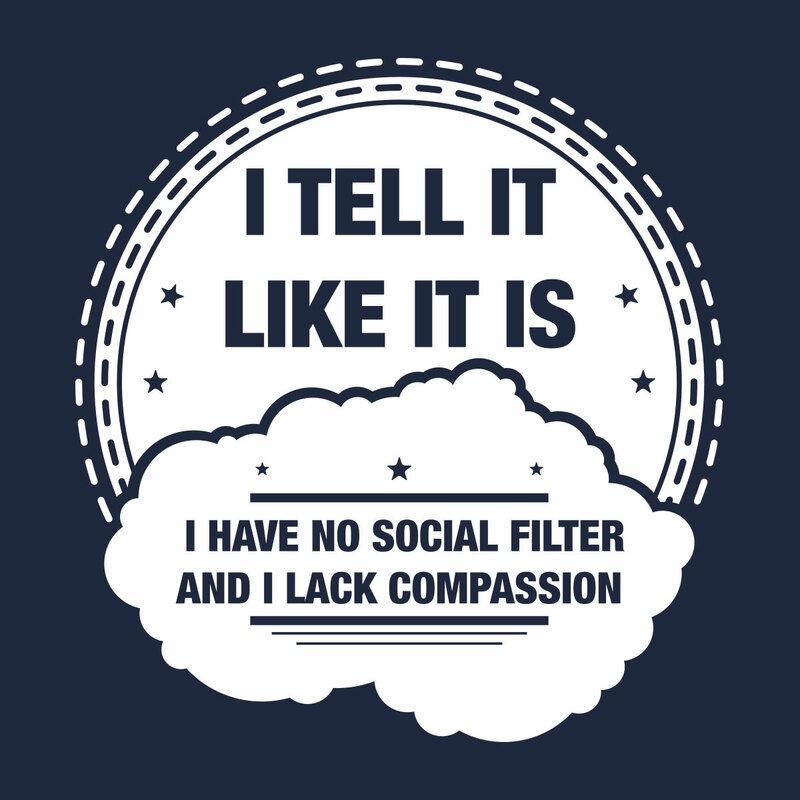 *+-Much like “Just sayin'”, “I tell it like it is” is a lazy way of saying “I’m an insufferable arse with an empathy deficiency”. 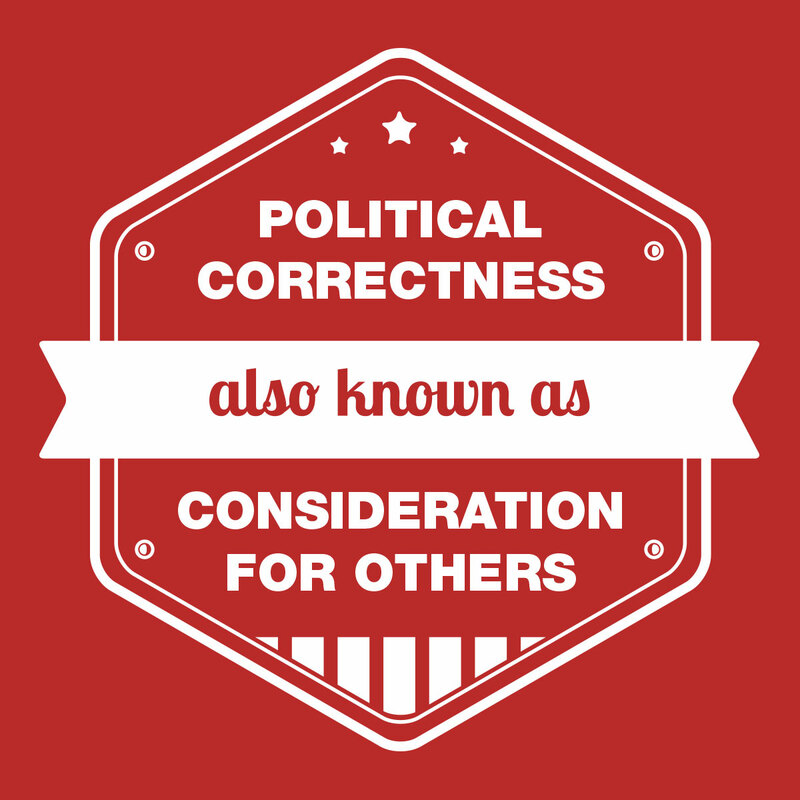 You are not telling it like it is, you are telling it how you see it from your (usually shockingly limited) worldview. Pipe down. 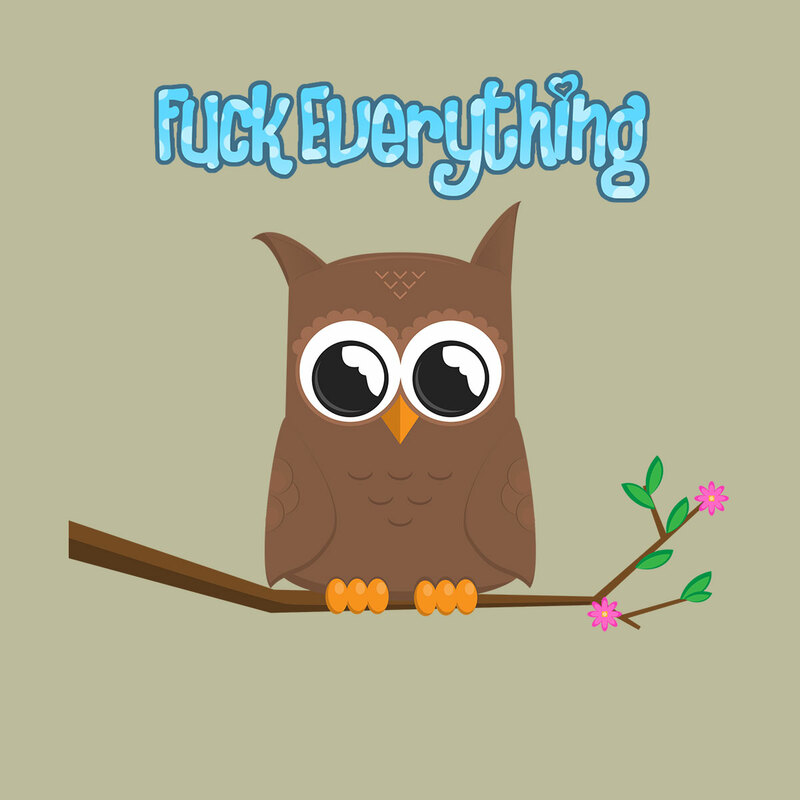 *+-It’s a tiny owl, he’s pissed off. 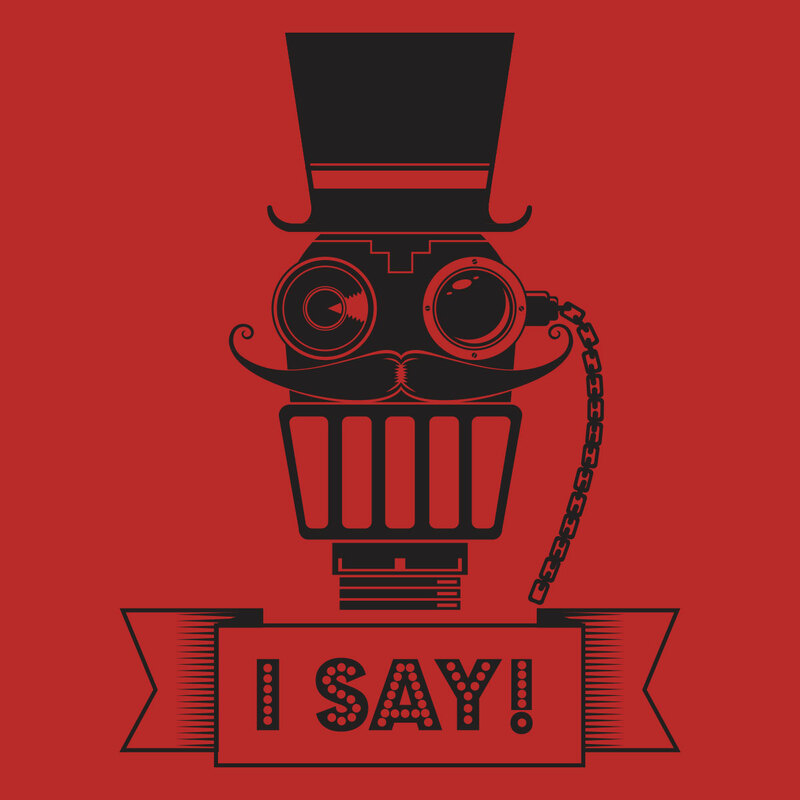 He’s swearing at you in a jaunty manner. It’s colourful yet offensive, sweary yet cute. 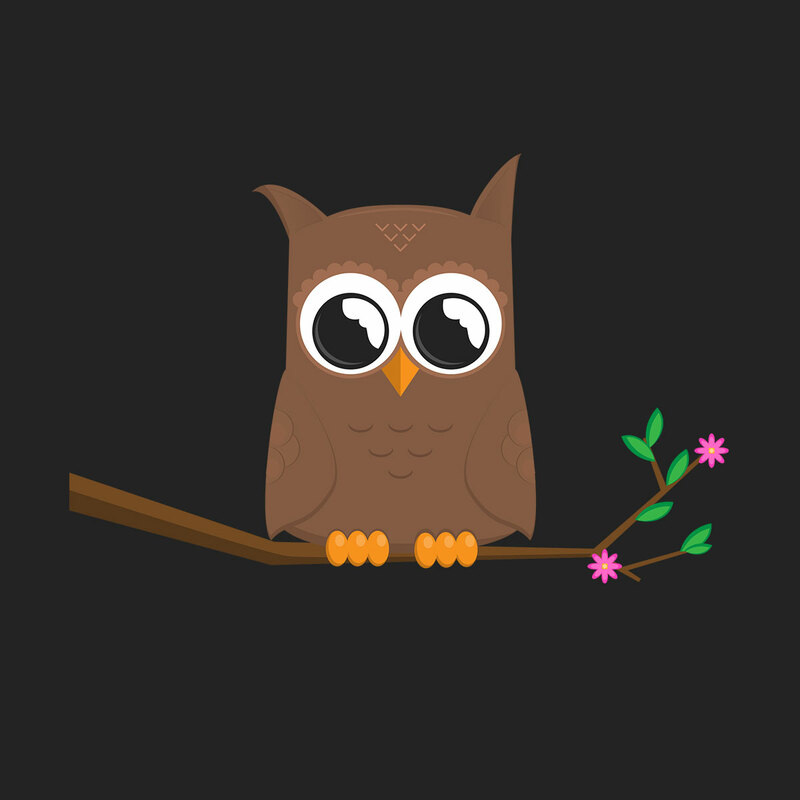 *+-A tiny owl sitting on his branch observing you benignly. This was my first merch design, people seemed to like it so I did more. Actually it was the second, the first was exactly this but with added rude words. *+-I say sir, you appear to have spilled your oil on my best boating trousers. I’ll be sending you the bill for my tailor. 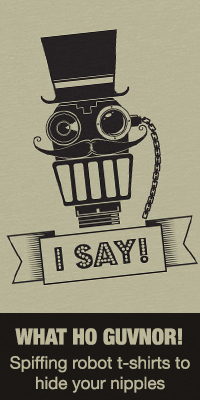 A retro robot from the roaring twenties.